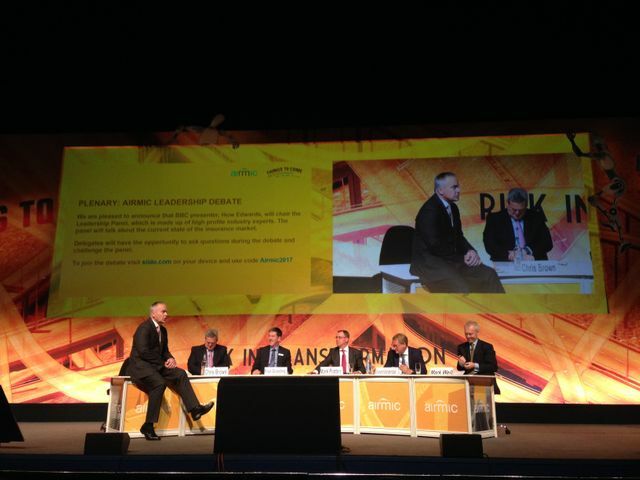 The BBC’s Huw Edwards joined risk managers on the second day of Airmic 2017, alongside a board of leading insurance industry professionals to examine the current and future position of the insurance market. Technology was once again a central theme of the conversation and in innovative fashion, the audience were invited to feed back their own responses via a live poll. Key topics were considered, including the new Insurance Act, as well as future thinking challenges, such as if the industry is diverse enough to create and facilitate the changes the industry needs. In a timely discussion on Brexit, industry experts feel the market is prepared for change but stress the need for policyholders to consider and mitigate any potential issues with their upcoming renewals before these arise; In contrast, the audience felt the industry on the whole is underprepared for what is to come. This highlights the need for both the insurer and insured to have knowledge of the implications that may affect their policy and the both parties to have discussions surrounding this to ensure coverage and compliance is maintained.